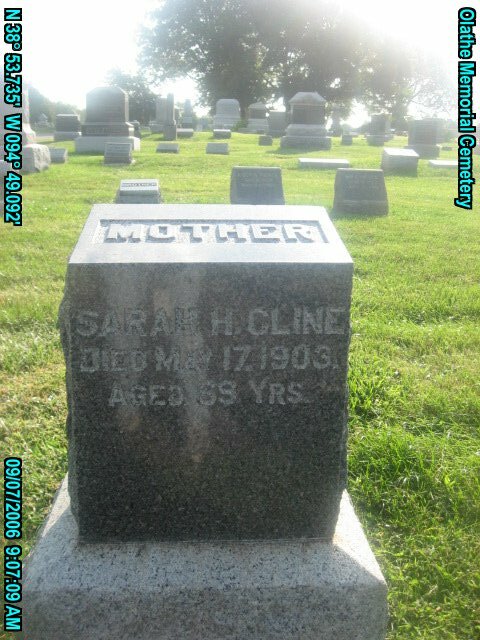 Mrs. Sarah H. Cline died at the home of her daughter, Mrs. C. A. Potts, Sunday morning at the age of 69 years. The funeral services were conducted Monday afternoon by Rev. Floyd of the Baptist church, interment in the Olathe cemetery. The deceased moved to Olathe about four weeks ago from Sabetha this state. 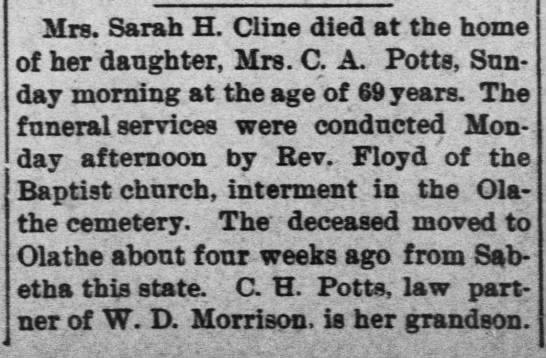 C H. Potts, law partner of W. D. Morrison, is her grandson.